A compact solid-state MVDC circuit breaker that safely interrupts full load currents in microseconds and then closes for reuse has been introduced by Diversified Technologies, Inc. of Bedford, MA. DTI’s PowerMod™ Solid-State DC Circuit Breaker takes power off of the load and then closes for reuse to enable MVDC power systems to operate safely. Featuring sub-microsecond opening and closing times, this compact MVDC circuit breaker prevents the fault energy from reaching damaging levels and provides multi-kHz switching for continuous controlled power applications from 1 to 50 kVDC. Exhibiting > 99.7% switching efficiency and ~30 years MTBF, DTI’s PowerMod™ Solid-State DC Circuit Breakers support micro-grid alternative sources and storage systems, including wind- and solar-power, battery storage, and flywheels, with various voltages, frequencies, and power levels. 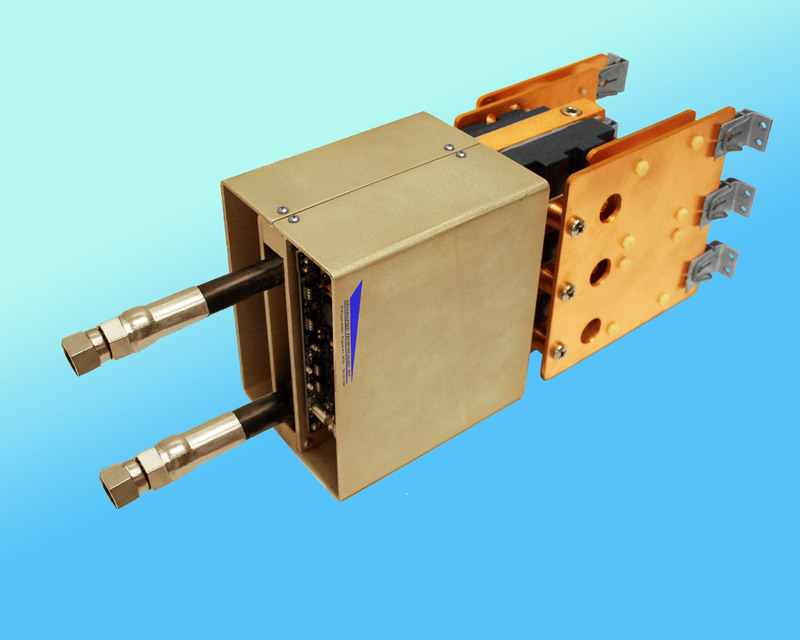 Comprised of two 4.5 kV IGBT’s in series, each breaker measures 16”W x 8”D x 6”H. DTI PowerMod™ Solid-State DC Circuit Breakers are priced from $9,995.00 and provide > 1 million hours predicted reliability per MIL-HDBK-217F.